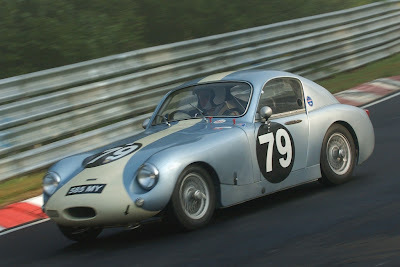 Historic Speedwell Sprite to race at Castle Combe 9th April. Just loved this: Guy Harman's original Speedwell Sprite. Restored by Rae Davis of RDR. Guy will be racing this famous car for the very first time in his recent ownership at the HRDC 'Historica' Race Day meeting at Castle Combe on the 9th April. Guy sent me this super little cartoon of his car - as portrayed in a famous French comic book. Excellent!